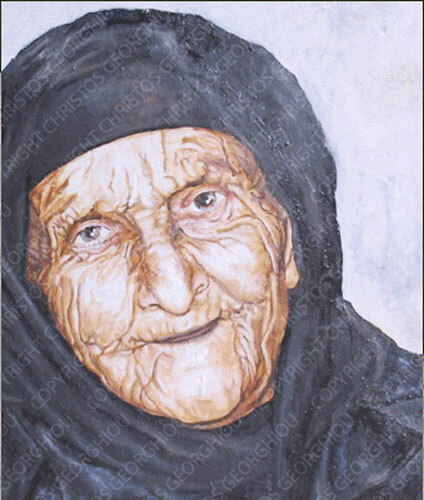 Linguistic Note: the word occurs in the old Nordic poem Rigsthula where it seems to mean 'great grandmother'. Jacob Grimm suggested 'Tales of a Grandmother' as its meaning. Eirikr Magnusson suggests that it is the possesive case of the place-name Oddi, thus meaning the "Book of Oddi'. In fact the word is still (azov 1987) used in modern Icelandic for Grandmother. Description: Goddess of myth, the poetic arts and history; Inspirer of story-tellers; Eponym of the Eddas; Mother of mothers; Ancestress of the Thralls, (those who work the land for food). To Whom Sacred: the eddas (the type of poetry She inspires -- they usualy open with an invocation to Her). Male Associates: consort Ái, Grandfather, lover Rig, also known as Heimdal. Associated with Amma, Grandmother, below. Perhaps cognate with Ertha, Earth. Idunn, Born-of-Flowers, is said to be the bride of Heimdal. Associated with Mothir, Mother, below. She is also called Saga, She-Who-Tells, below. Source: Branston GN 36; Hollander PE 120-21; Walker WEMS/269. Linguistic Note: See Linguistic Note under Amba, Mother, Who is linked with Ambika, Little-Mother. Description: Ancestress of craftspeople, tradespeople and business people. Associated with Edda, Great-Grandmother, above. Perhaps related to Hindustani Amba, Mother, Who is linked with Ambika, Little-Mother. Linguistic Note: related to German Moder, 'mother; clay, mud'. Description: Mother Goddess of scholars, hunters, soldiers and leaders. Some say Ancestress of the ruling caste of jarls, the landowners. Associated with Amma, Mother, above. Associated with, and perhaps a manifestation of, Freya, Dearly-Beloved. Source: Walker WEMS 325, 666. Linguistic Note: Scandinavian saga, 'a tale'. Icelandic segha, 'to say'. Related English words: saga, say. Description: Goddess of the poetic arts and history; She Who is believed to know all things; She Who sits drinking gaily in Sokkvabekr, 'Sinking-beck', Her home in the sea, where cool waves flow. To Whom Sacred: golden cups. Male Associate: Odin, Her father, with whom She drinks. Alternate name for Edda, Great-Grandmother, above. As one of the Asynjur, Goddesses, She is a Daughter of Frigg, Darling. Her name might be etymologically related to Hindustani Goddess of the ocean, Sagara, S*G1R1, Ocean. Source: Branston GN 156; Funk & Wagnall SDFML 80; Stutley HDH 257; Walker WEMS 325.
worked on: September, June 1995; August 1991; July 1990.